Last month I posted about how crazy the month was with all of the showings. Well, April was even crazier outside of the blog. We closed on the house we are selling, started prepping for our wedding, and started moving some stuff over to my parent’s house where we have to stay for a week and a half this month before our house is ready. This month I definitely saw the decline in growth in the blog stats. But, I also started getting a lot more email traffic this month. This month, Wayfair asked me to create a featured post for them. Unfortunately, I had to decline because it just wasn’t possible to do what they wanted while my house is in moving disarray. I also had three people ask to guest post on my blog this month! I’ve had quite a few ask before but nobody had ever actually written a post. I now have two guest posts scheduled. One for May and one for June. Still waiting to see if the third will end up submitting a post. Last month I mentioned being a bit behind on Tailwind. I got caught up and am now back to being a bit behind of where I want to be. As long as I can keep it afloat through the move I’ll be good though. I also hoped to get all of the posts for the next two months scheduled but I’ve had very limited time to think about the blog. So, I decided that I am going to alter my posting schedule for the next few months of Moving and Wedding events. Instead of posting every Tuesday and Saturday, I will only be posting every Tuesday. I will resume my regular schedule in August. That’s all for this month! Wish me luck for maintaining the blog in May during the temporary move! I think its great that you are sharing your progress with your audience. I love the planner documents you have to help keep you organized. Great job girl! Keep it up! Thank you for sharing your income report with us. 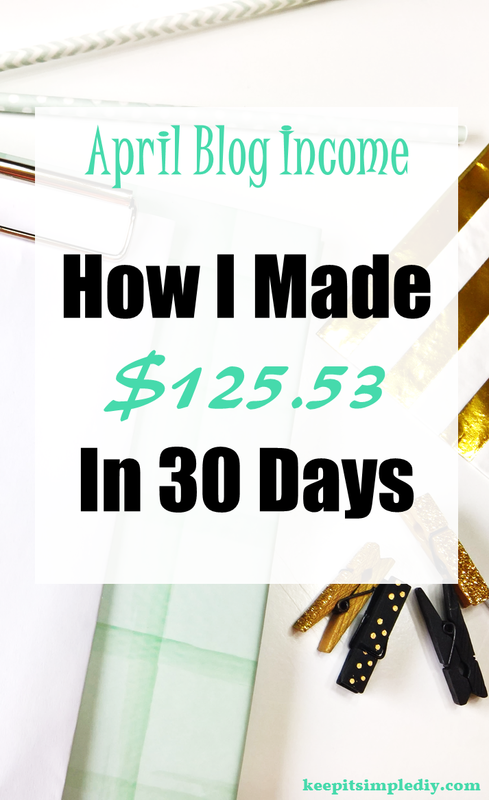 I always love seeing how other bloggers create revenue. Nice work in April! I love reading these posts, definitely inspiring to see how others are making extra income with blogging. You’re doing such a great job! I’m new to blogging, so have yet to bring in a significant amount of money to pay off my initial hosting/theme purchase. 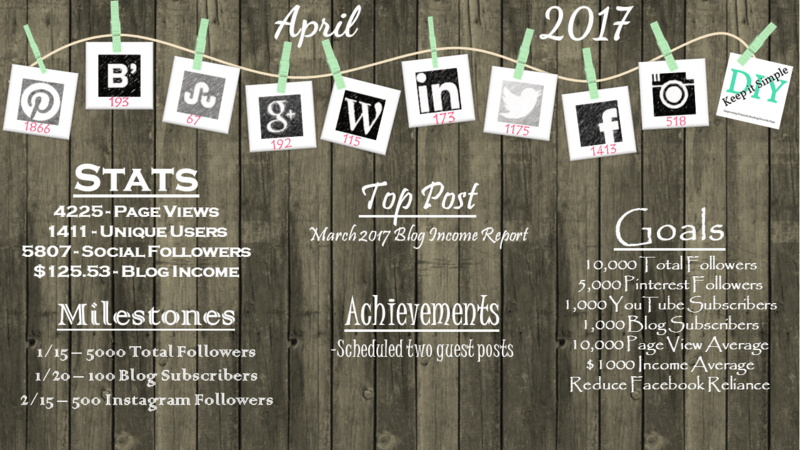 I always love seeing how other bloggers do it!